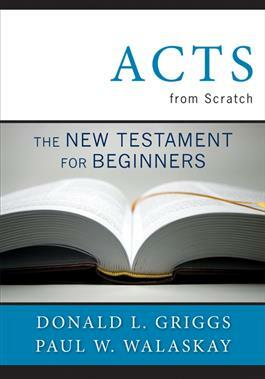 Building on the foundation of the popular volumes The Bible from Scratch: The Old Testament for Beginners and The New Testament for Beginners, Donald Griggs and Paul Walaskay offer a new study on the book of Acts. In seven chapters, Griggs and Walaskay tell the story of this popular New Testament book, with its stories of the works of Jesus disciples after his death, resurrection, and ascension. A leader's guide and participant section are included, making this volume an excellent resource for group or individual study.